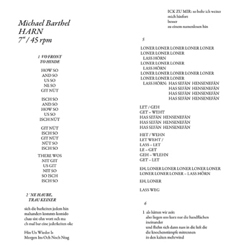 Scrotum Records presents the debut record by Michael Barthel. A musical approach interposing words and sound. home - deeply exploring the possibilities put forth by these terms. Recorded in October 2014, released in March 2015. All poems are printed on the cover. This release was made possible by small and independent press.